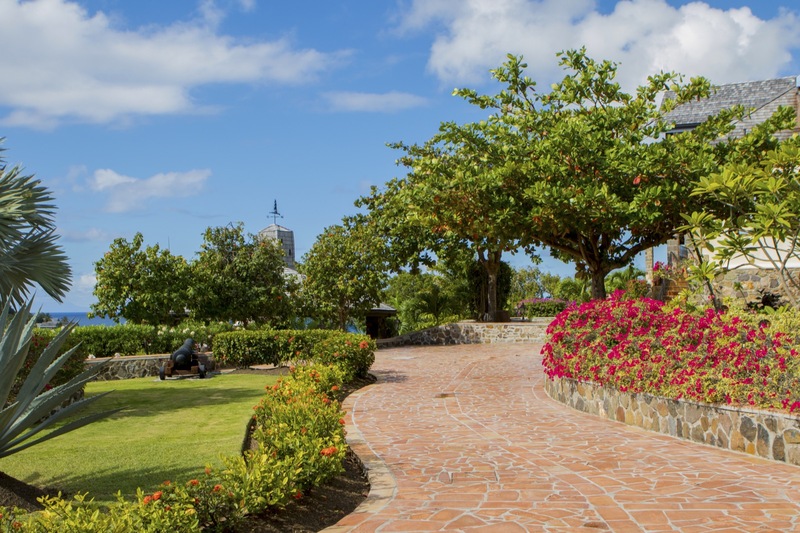 Get a first impression of St. Anne’s Point and its spectacular location. 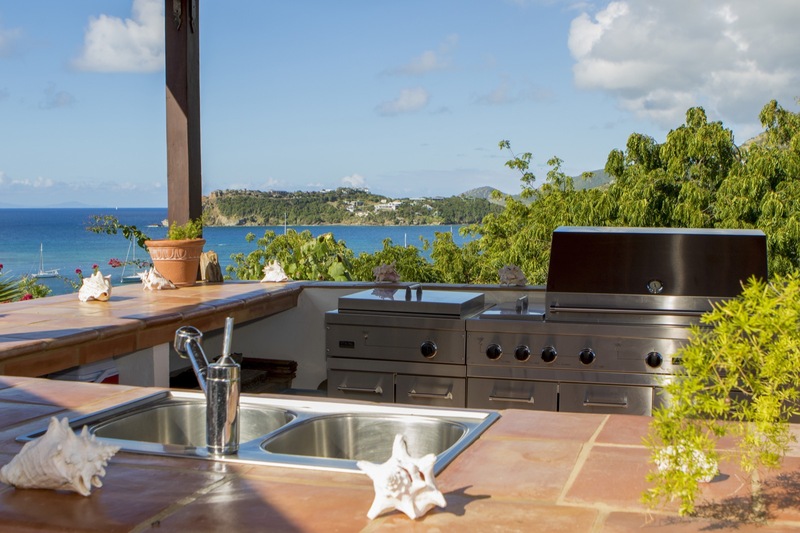 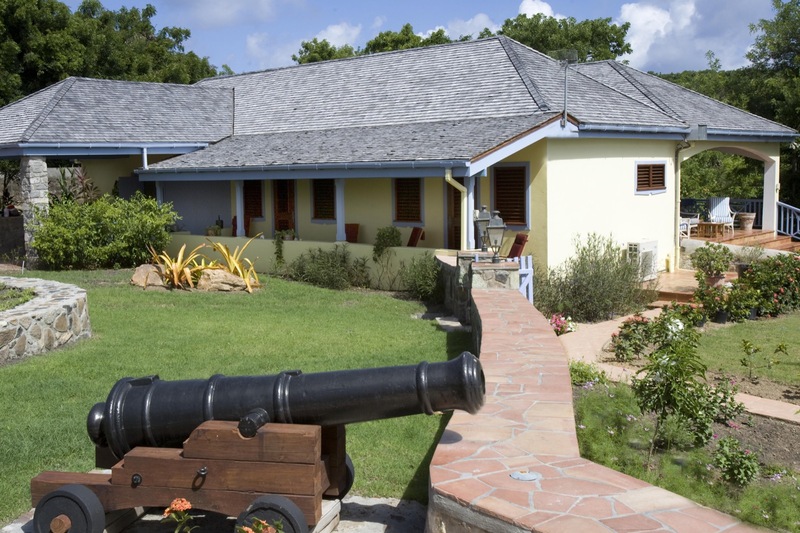 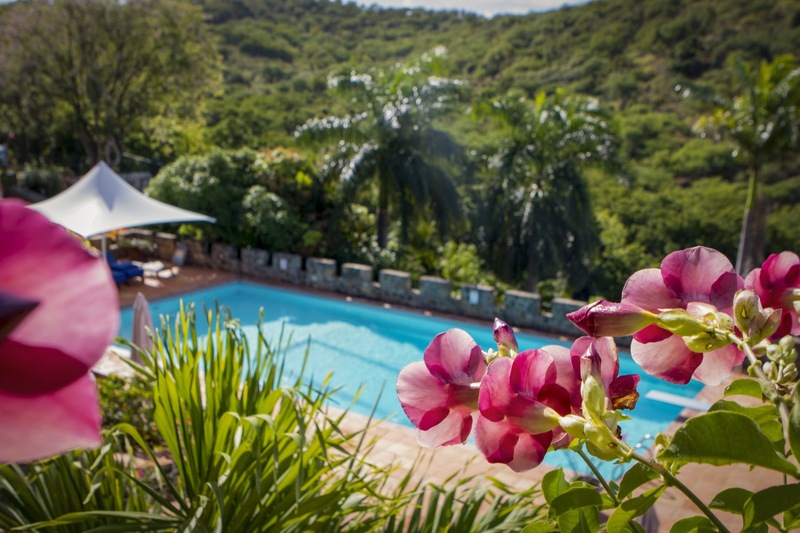 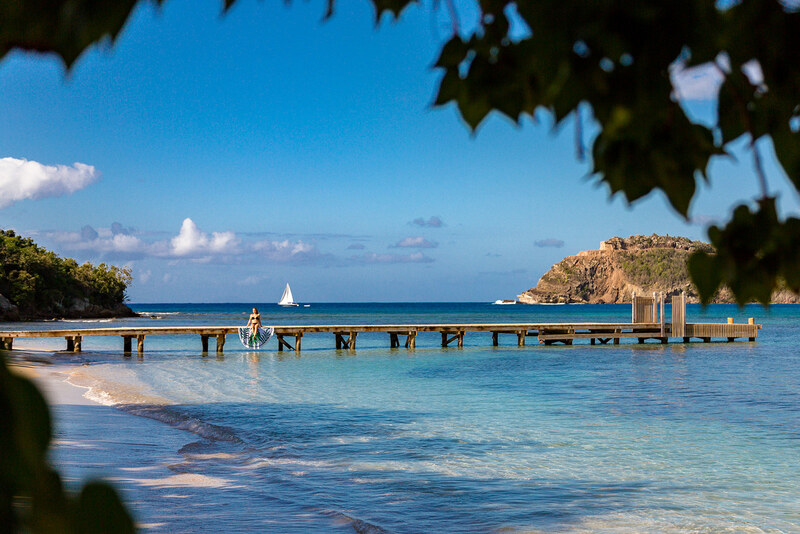 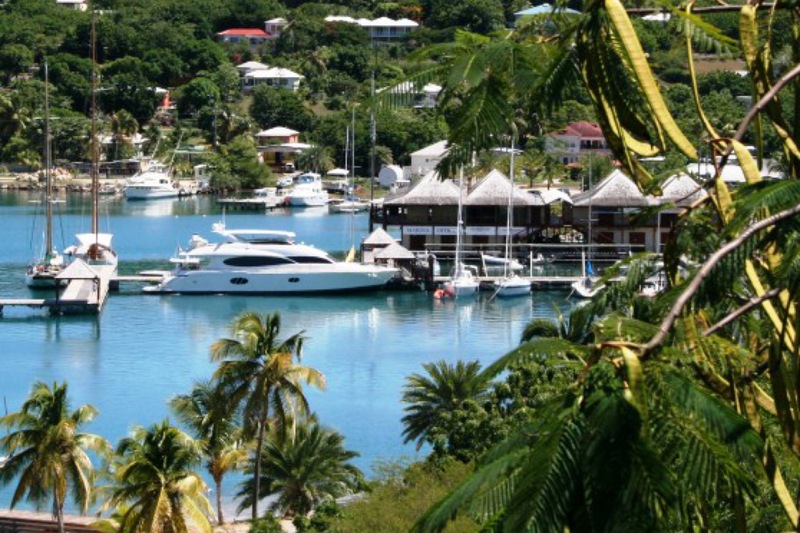 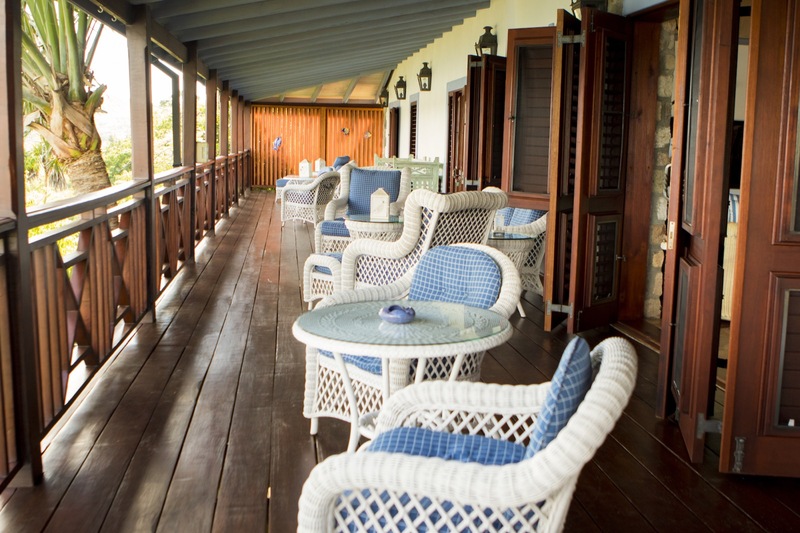 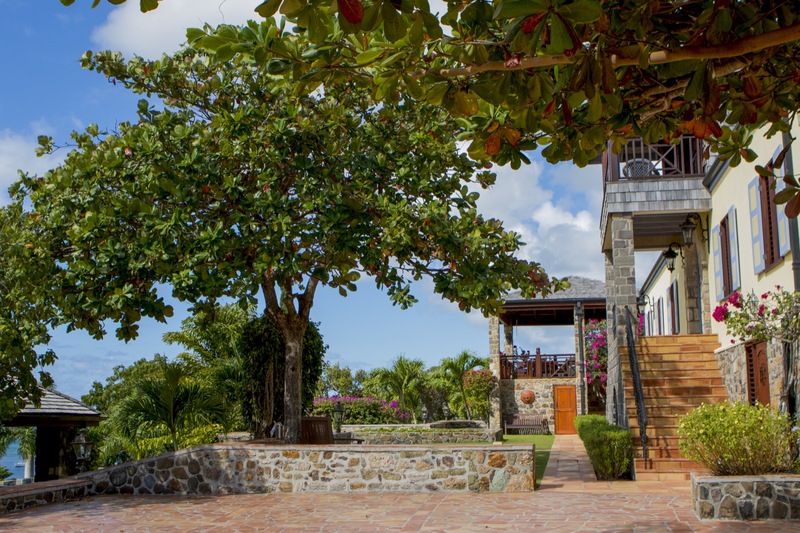 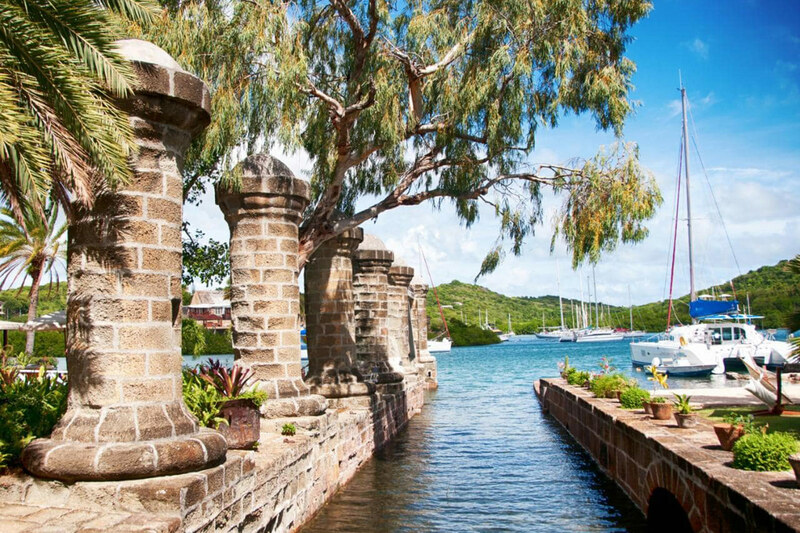 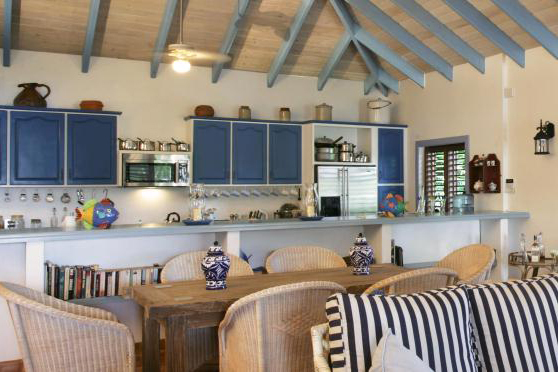 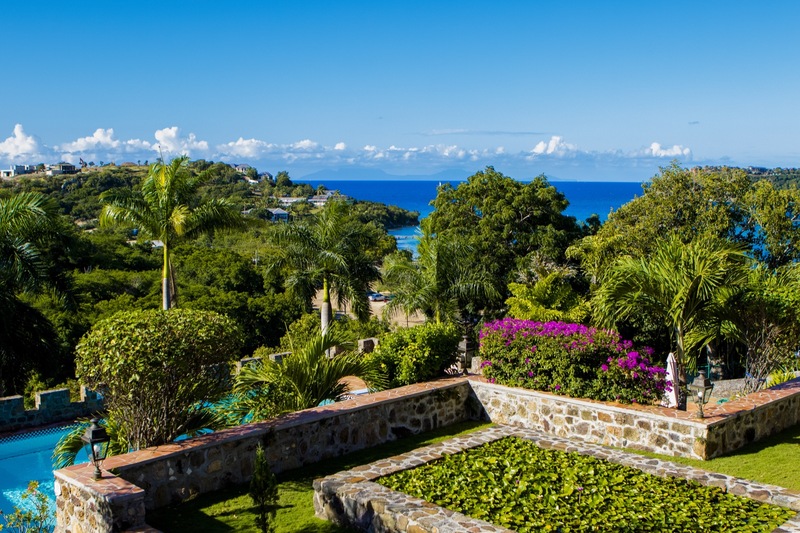 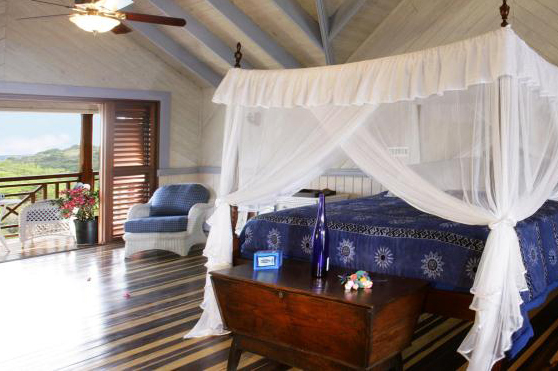 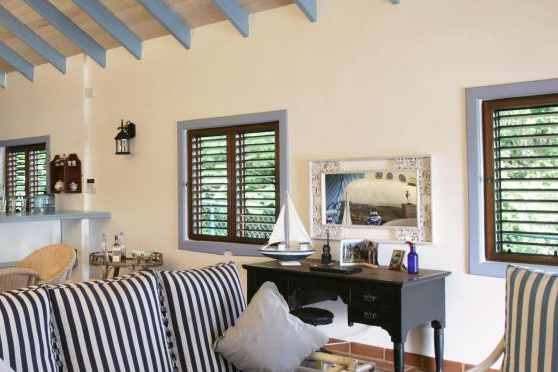 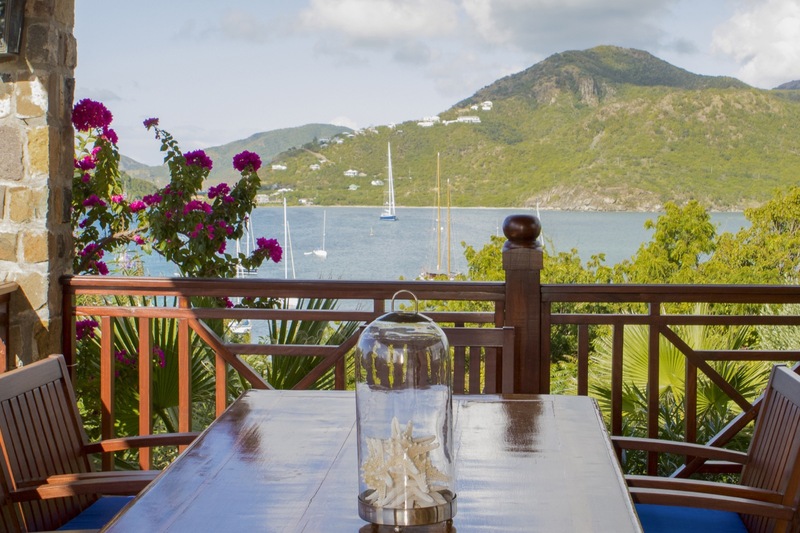 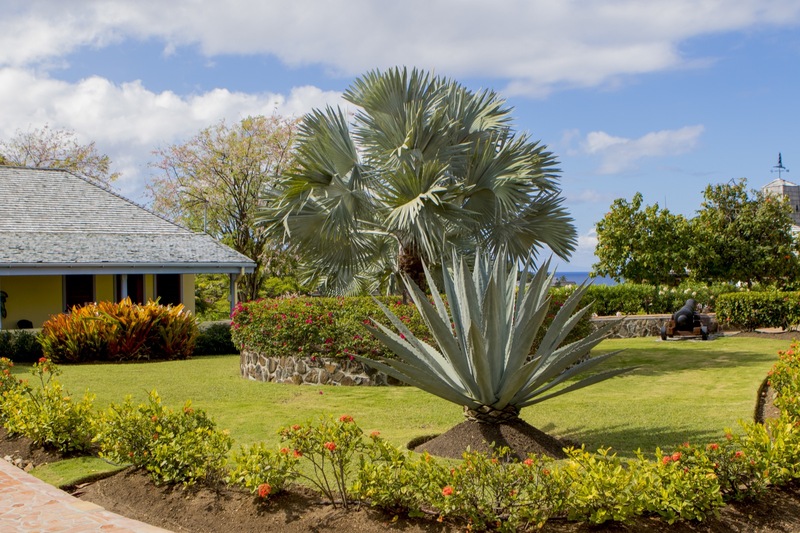 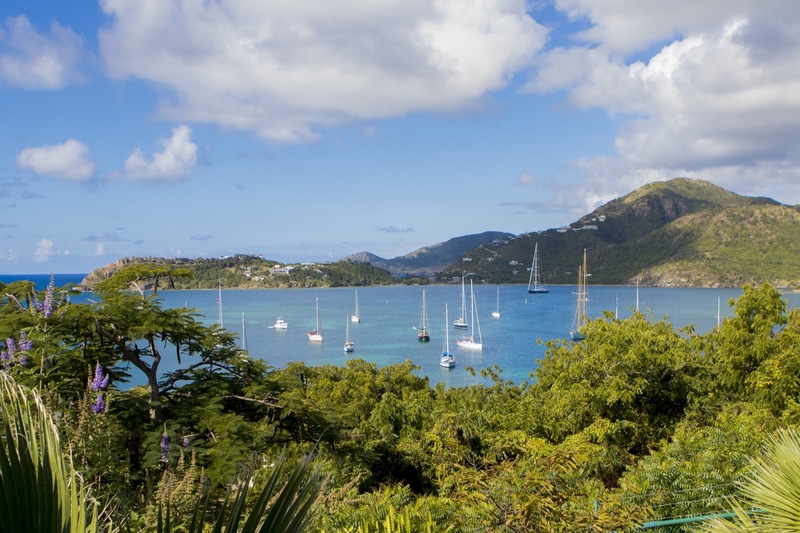 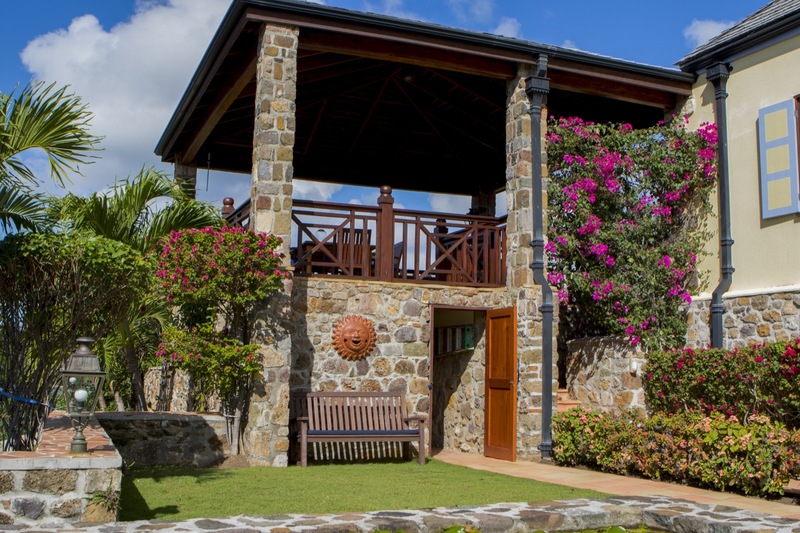 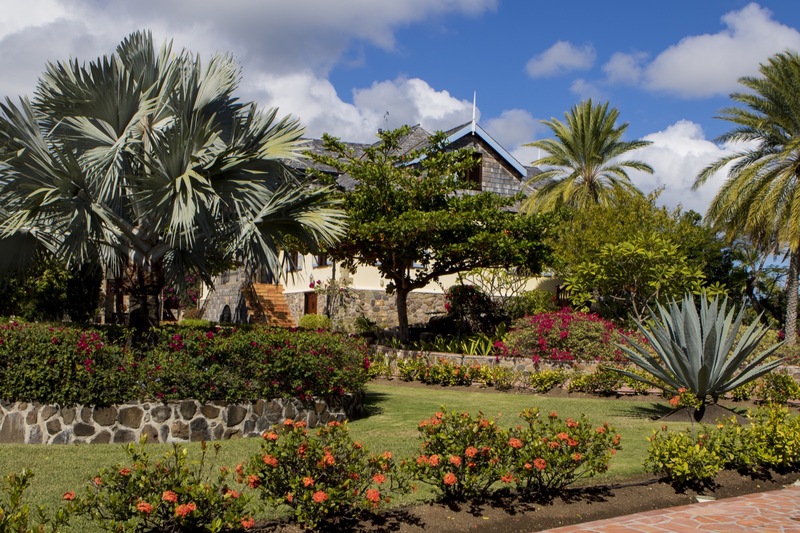 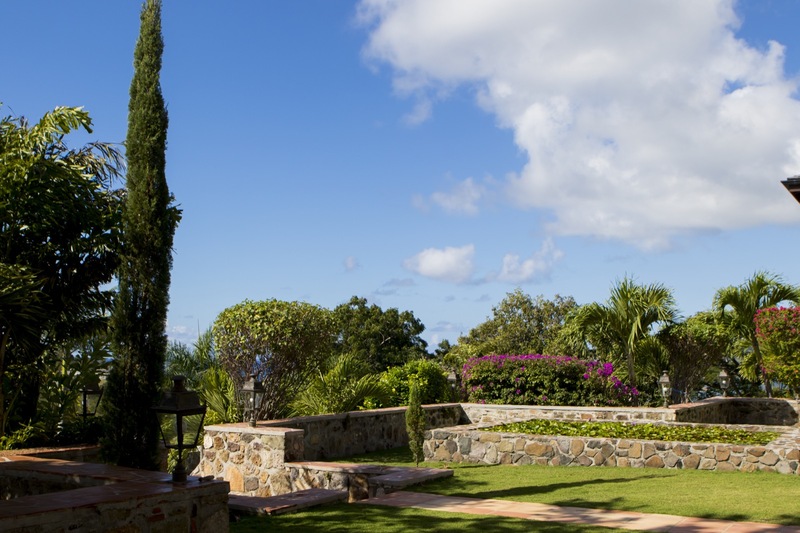 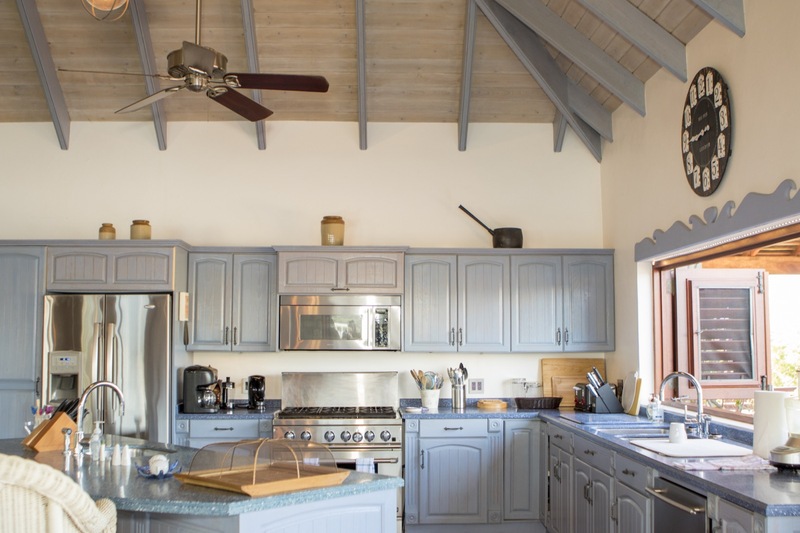 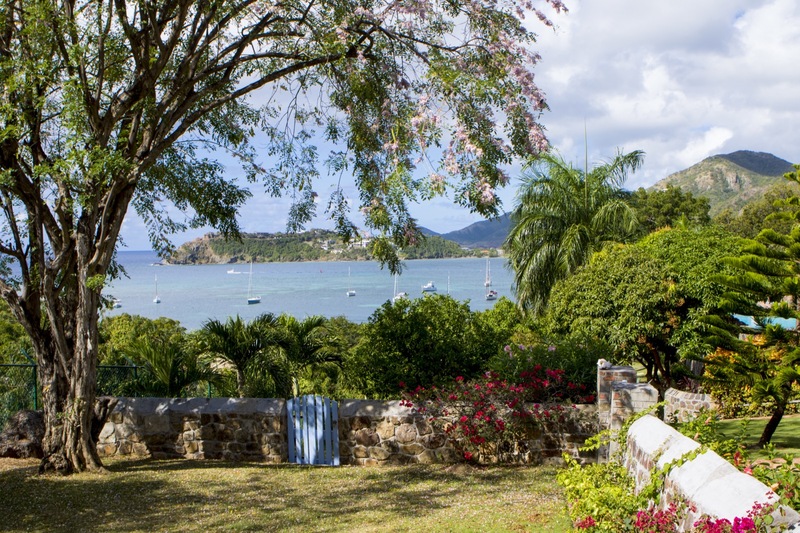 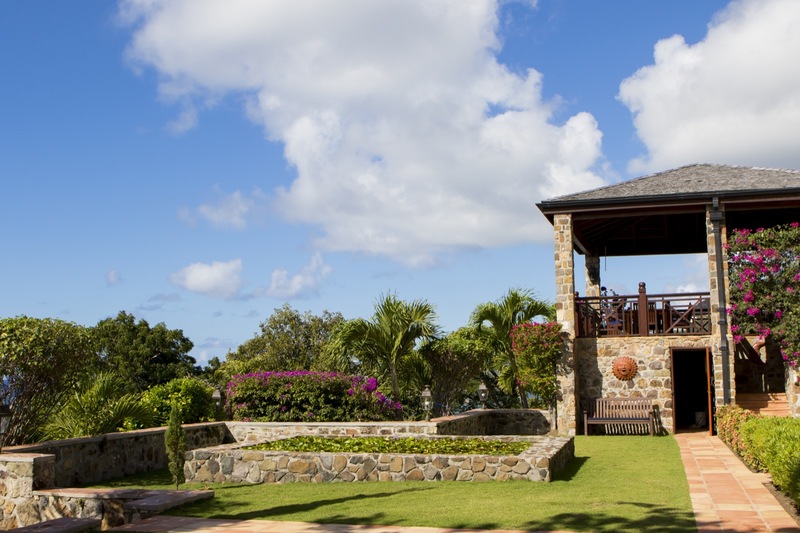 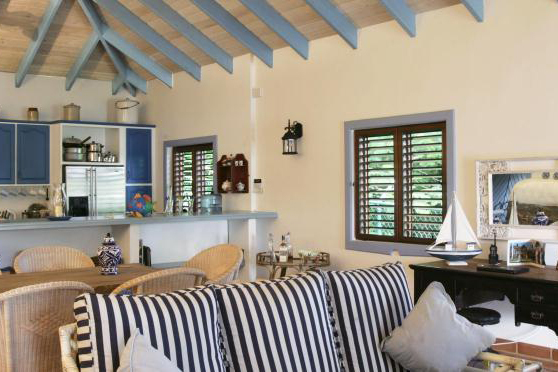 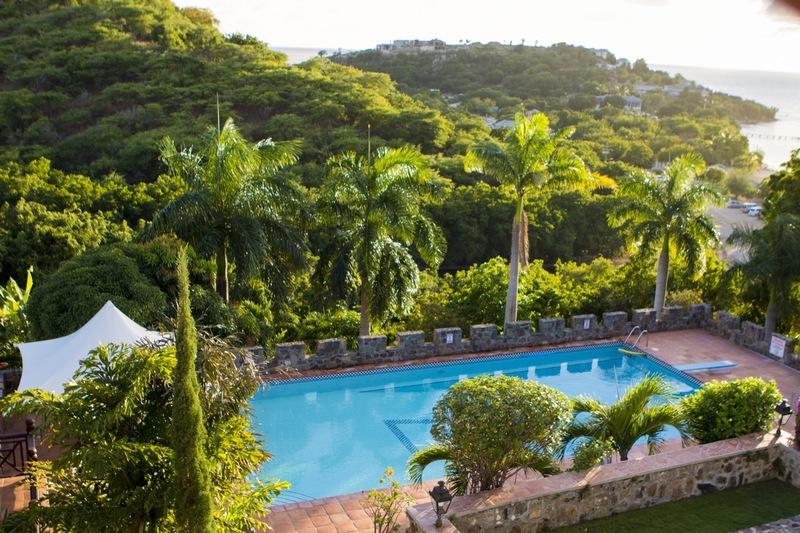 Immerse yourself in the idea of how a retreat at one of Antigua’s finest and exclusive villa’s would be. 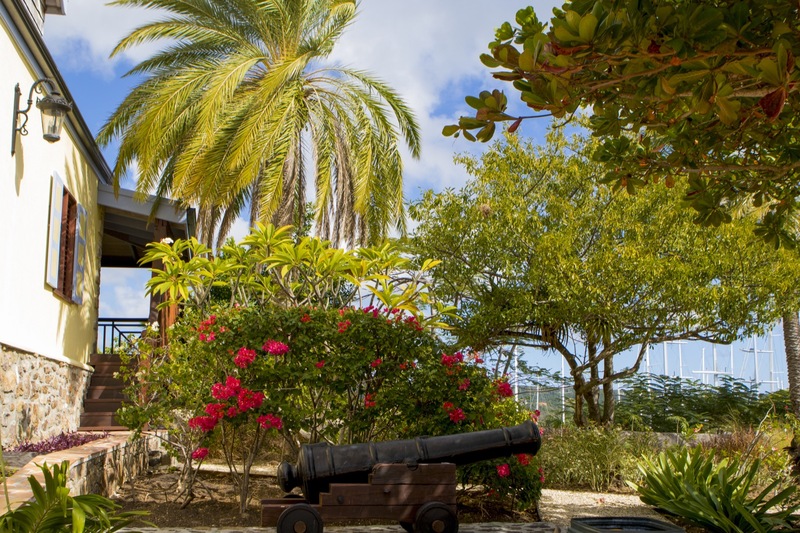 Wander through the lush tropical gardens or find yourself a shady spot under one of the many trees. 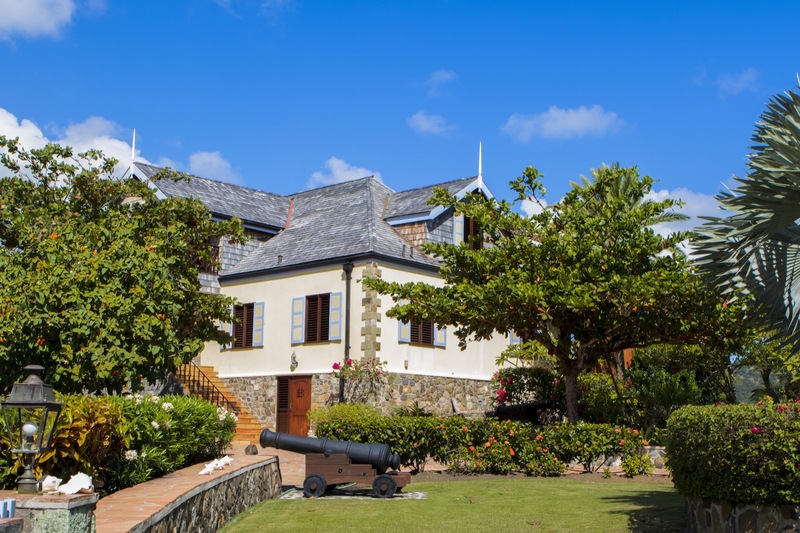 A grand Georgian maritime styled villa with high ceilings and doors that open out onto the 120 foot gallery that allows absolutely stunning views. 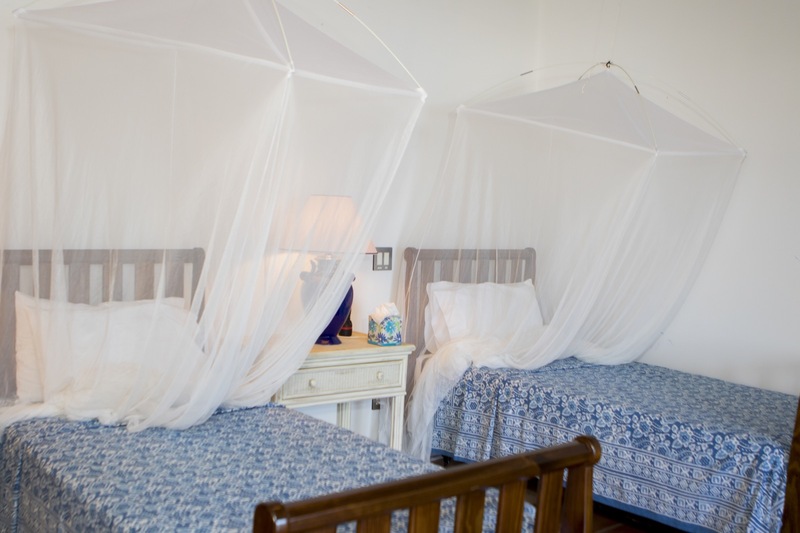 A lovely spacious guest cottage can be found where once the stables were, with it’s own patio and stunning views. 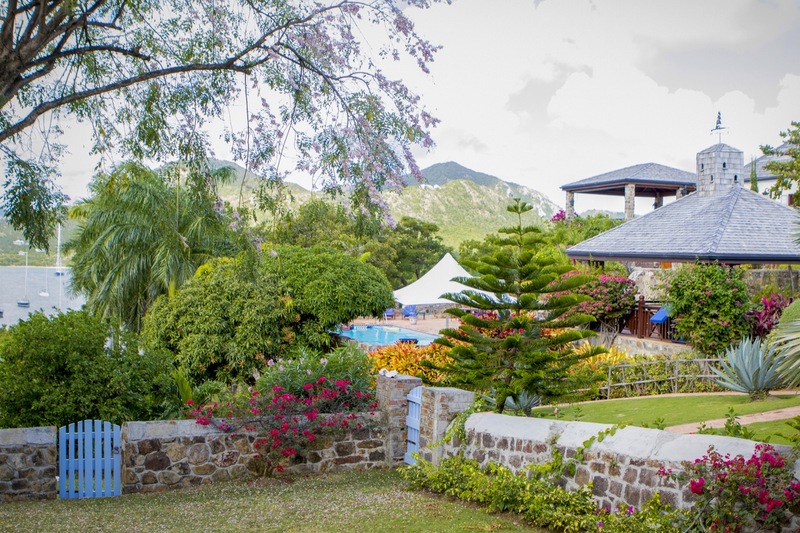 The property has several outdoor area’s for entertainment & al fresco dining, including a large pool and outdoor BBQ. 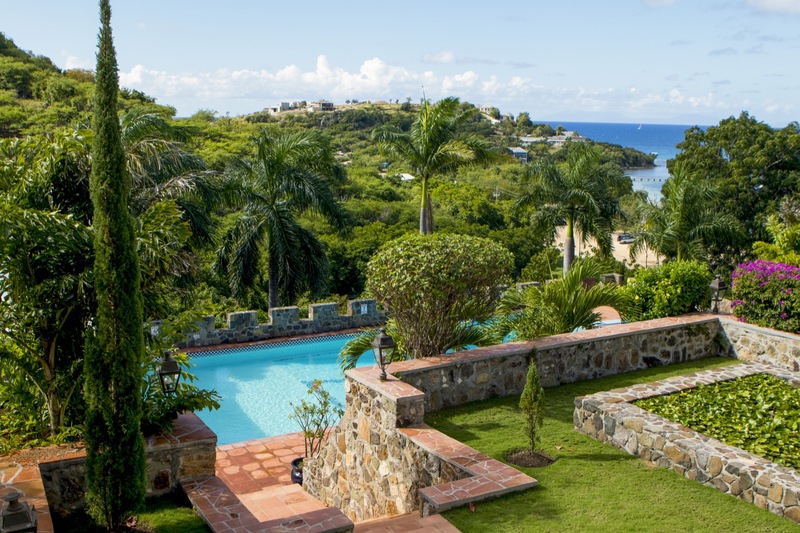 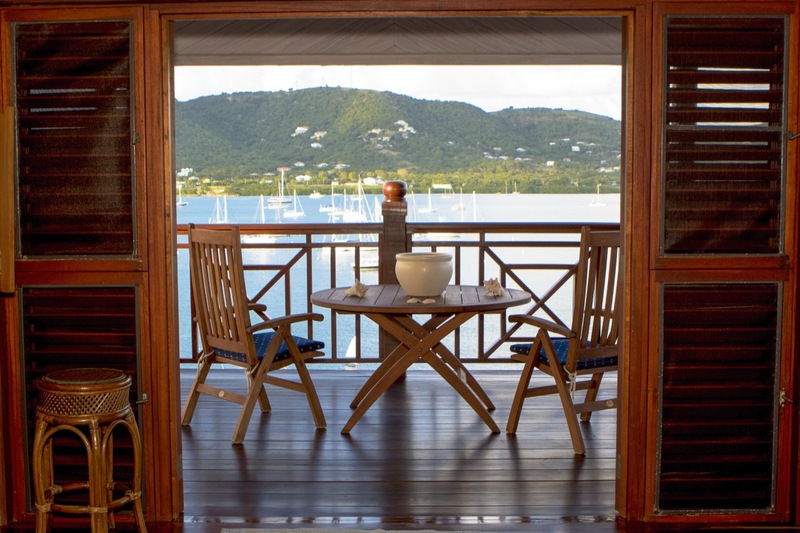 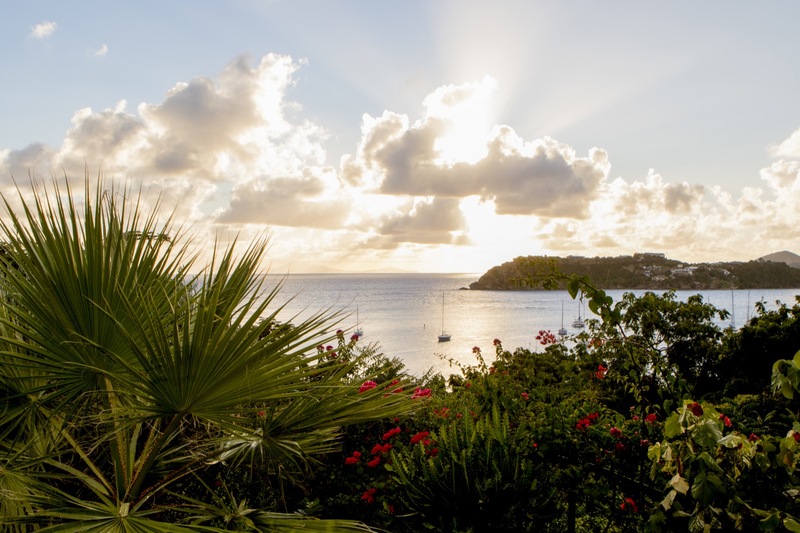 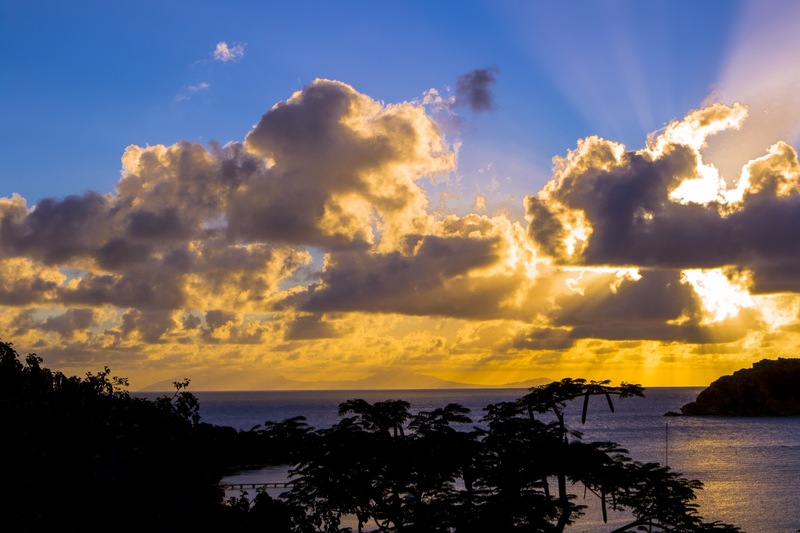 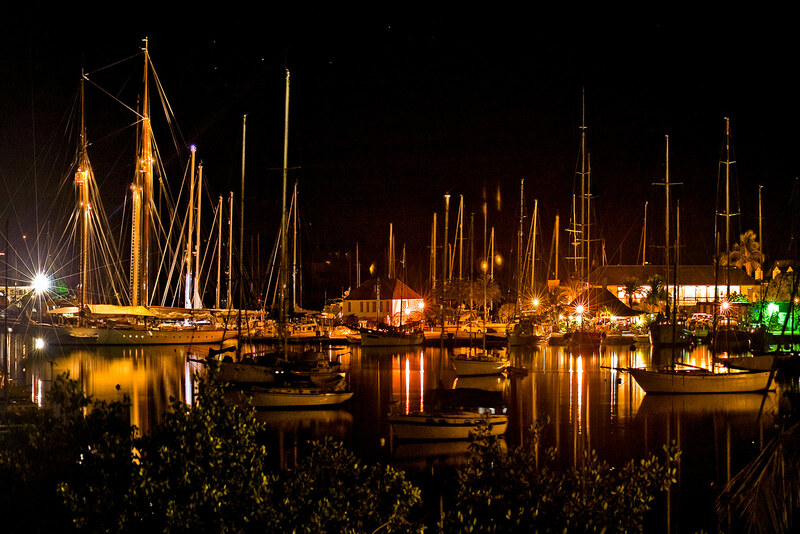 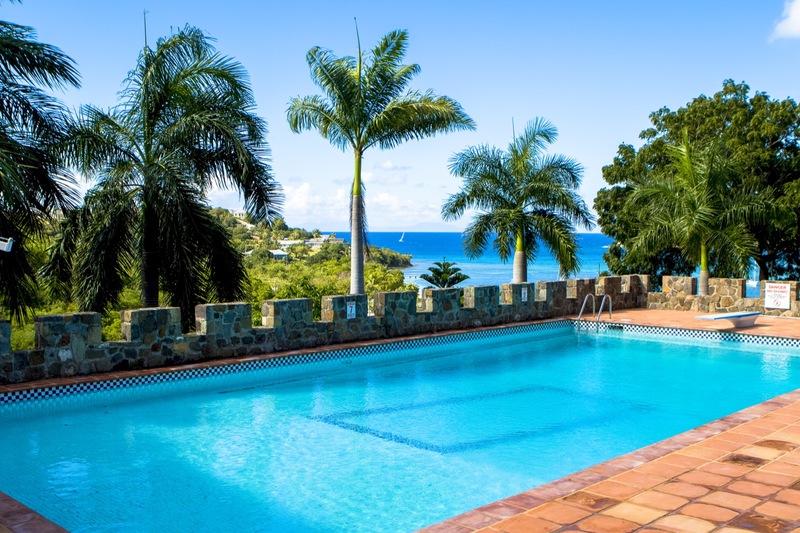 The 270 degree views that extend across Falmouth Harbour and beyond towards the island of Montserrat are truly spectacular. 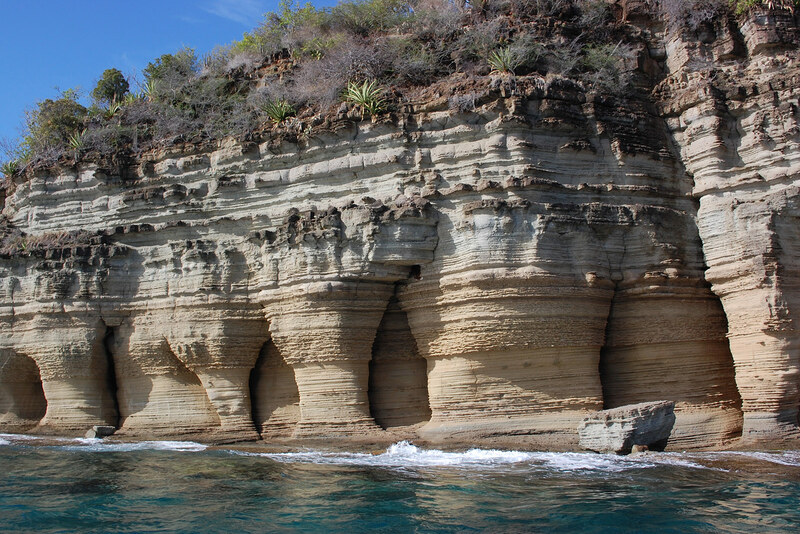 One of the best beaches on island is literally a ‘stones-throw’ away, with Falmouth & English Harbour around the corner.